Protect and restore your leather with 100% ultra-prime neatsfoot oil. Even still and dried out leather can have its natural pliability restored. 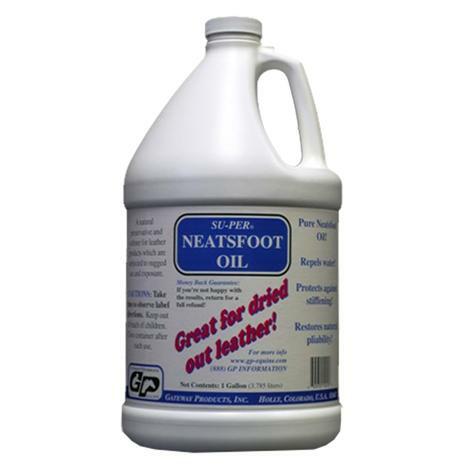 Neatsfoot oil protects against stiffening and repels water. This is an economical gallon bottle of Su-per Neatsfoot Oil. Protect and restore your leather with 100% ultra-prime neatsfoot oil. Even still and dried out leather can have its natural pliability restored. 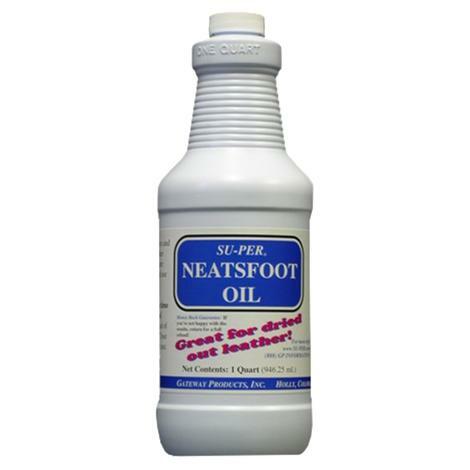 Neatsfoot oil protects against stiffening and repels water. This is a 32 oz. bottle of Su-per Neatsfoot Oil. 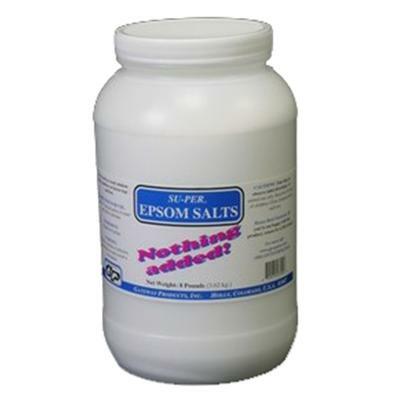 Su-Per Epsom Salts powder can be used as a soak, a poultice, and as a wet dressing. 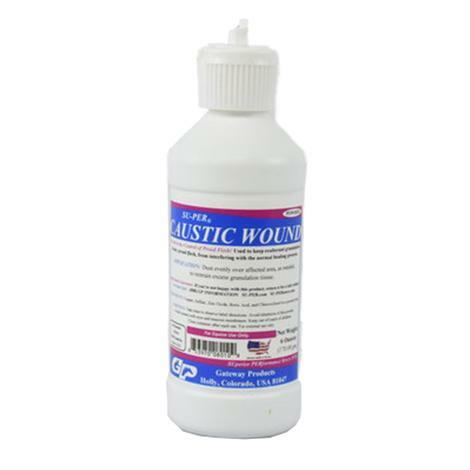 This product can draw out heat and swelling, and reduce soreness. Supplement designed to help your horse maintain a balanced emotional state. Su-per Calm uses a combination of herbs and amino acids to help your horse stay calm without losing mental clarity or becoming sleepy. This is a rice hull based powder that has an apple and molasses flavor. 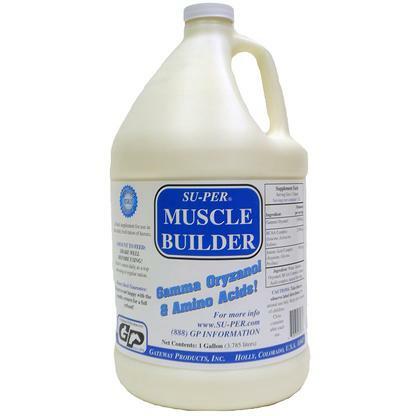 Su-per muscle builder liquid is water based and has and apple and citrus flavor. 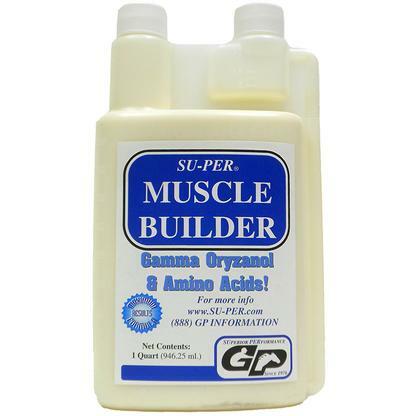 It is formulated to promote proper body composition and healthy muscles. Su-per combines both amino acids and branch chain amino acids with gamma oryzanol. 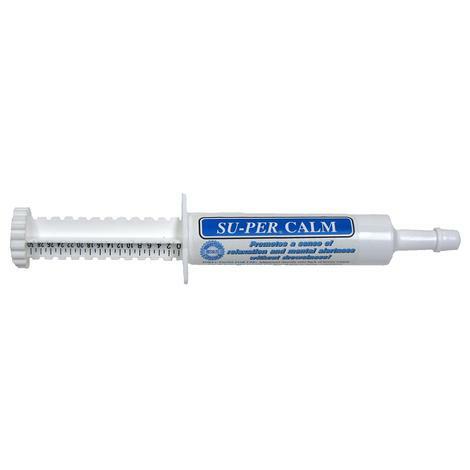 Su-per calm is a 30cc paste in an oral syringe. The formula is designed to help your horse relax without becoming drowsy. Your horse should maintain mental alertness while maintaining their relaxed calm. The all natural paste is apple flavored. 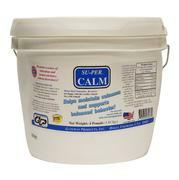 4 hours before an event, put Su-per Calm directly on to the back of your horse’s tongue. One 30cc tube is all you need in a day and no more than that should be given. 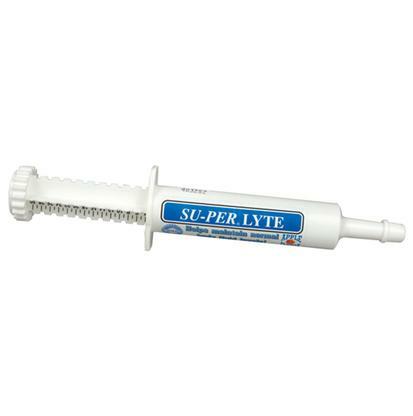 This is an oral electrolyte and trace mineral supplement designed to maintain your horse’s body fluids. Su-per Lyte paste is apple flavored and comes in an oral syringe. It’s ideal for use when your horse is engaged in heavy work, training, or high heat. This is a dust free formula that is apple flavored and salt based. It is designed to maintain your horse’s hydration during periods of stress, heat, or heavy work. 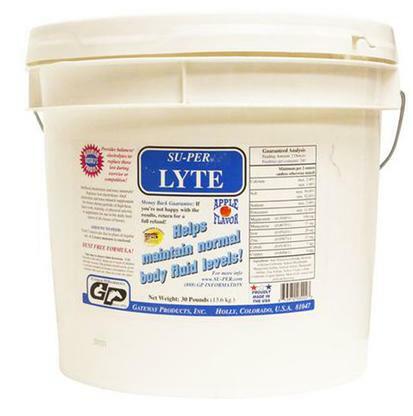 The electrolytes and trace minerals are buffered and replace regular daily salt ration. This is a 30 pound tub of Su-per Lite. 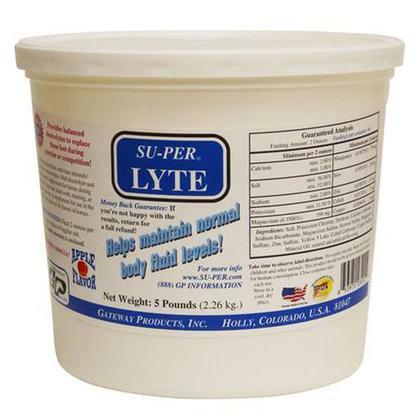 This is a 5 pound tub of Su-per Lyte. The combination of buffered electrolytes and trace minerals help your horse maintain their fluid balance. This formula is salt based, dust free, and has an apple flavor. The oral electrolytes and trace minerals replace regular salt.